Hobart SDPE-11 Floor Model Salad Spinner / Dryer, 20 gal. Home / Food Prep / Fruit, Vegetable and Salad Preparation / Salad Dryers and Spinners / Hobart SDPE-11 Salad Spinner / Dryer, 20 gal. Hobart SDPE-11 Salad Spinner / Dryer, 20 gal. 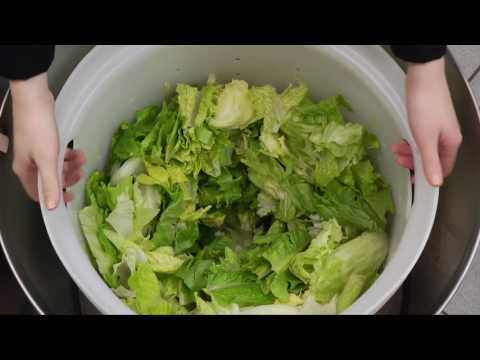 The Hobart SDPE-11 salad spinner can dry up to 16 heads of lettuce or 20 gallons of your fresh greens and other produce in just five minutes. It's an efficient and easy way to dry off your vegetables leaving you with soggy-free foods. On this salad dryer is a five-minute timer allowing you to work on multiple kitchen tasks while your greens are drying. Also featured are heavy duty casters with brakes for maneuverability. After drying, water dispenses out of the dryer through a PVC extension tube used to drain directly into a floor drain. 1/4 HP, 115v/60/1, 2.5 amps, 406 RPM, NSF, UL listed. Built-in motor splashguard.